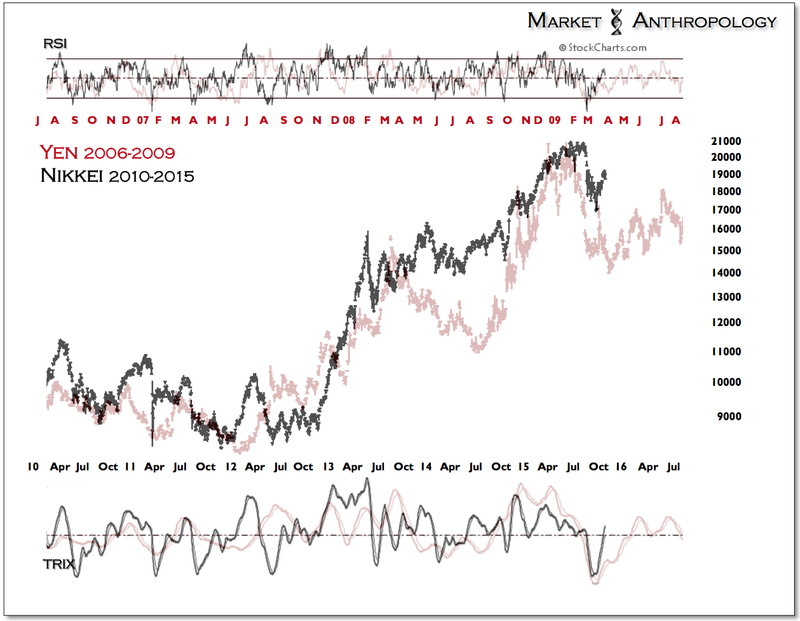 For tactical traders, the fractal comparative we've followed between the Nikkei and yen (09') appears to be nearing another downside pivot. 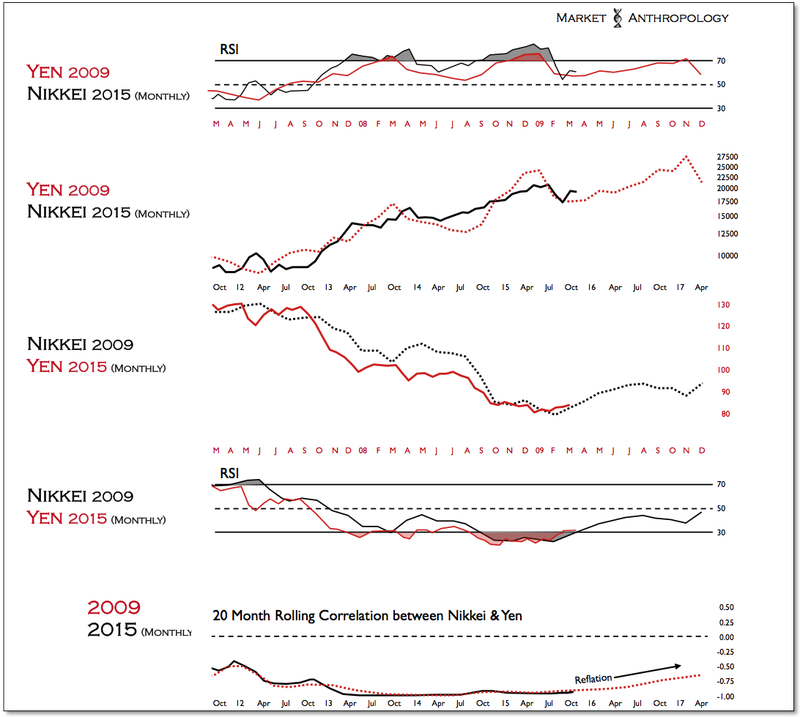 From a longer-term perspective, although we are looking for the negative correlation between the Nikkei and yen to continue to thaw as it did from the previous extreme in Q2 2009, over the short-term, they could continue to mirror performance moves (Figure 3) - while also gradually trending higher. 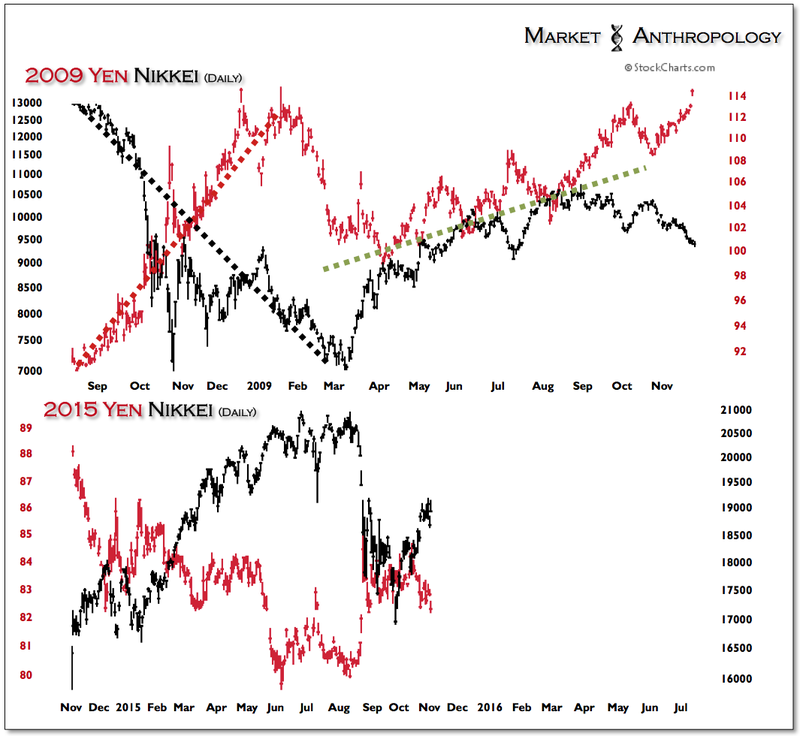 Our basic read is that the yen will take another step higher in the near term, with greater upside risk should equities loose previous support from early fall. 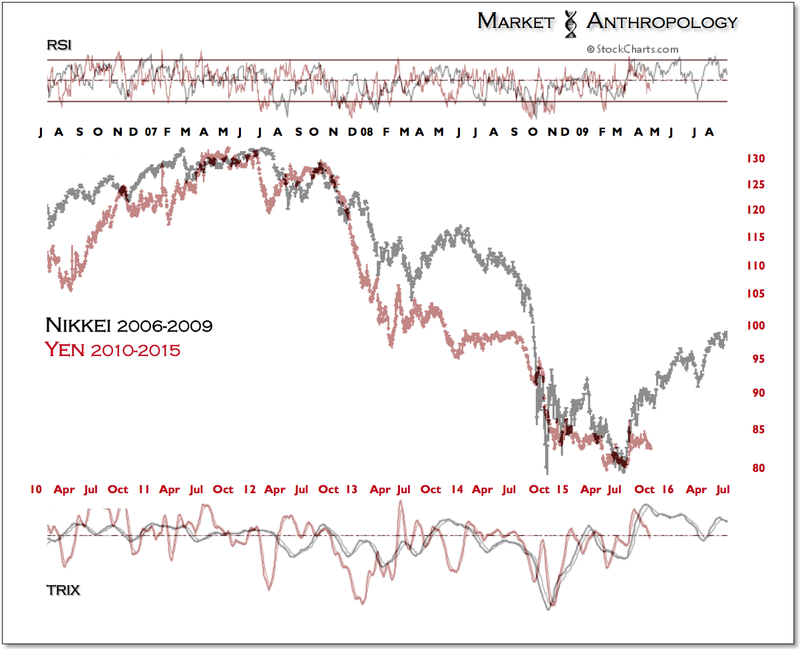 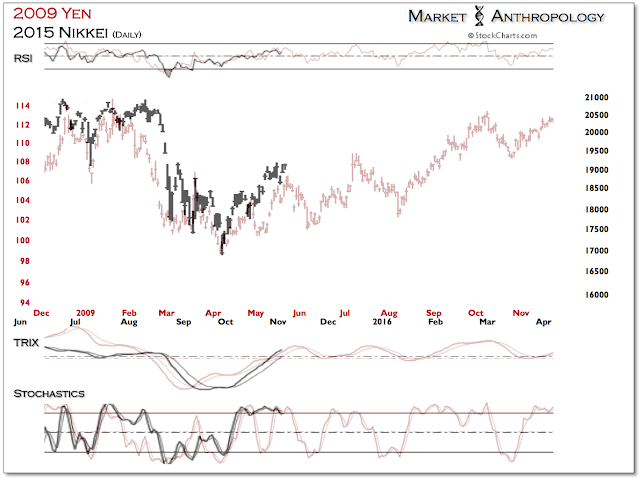 That said, we believe Japanese markets are on another reflationary path. 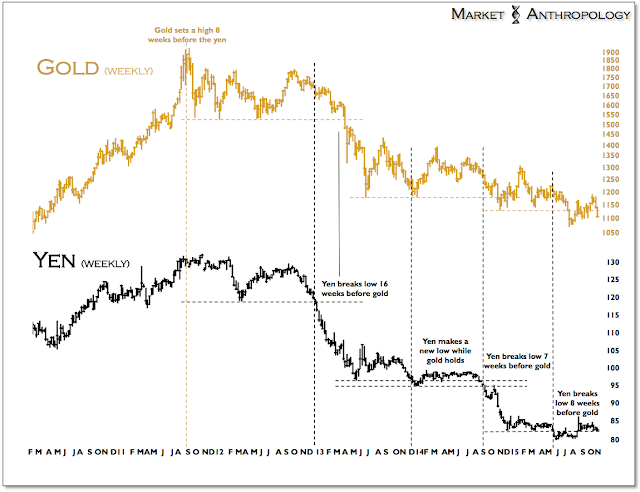 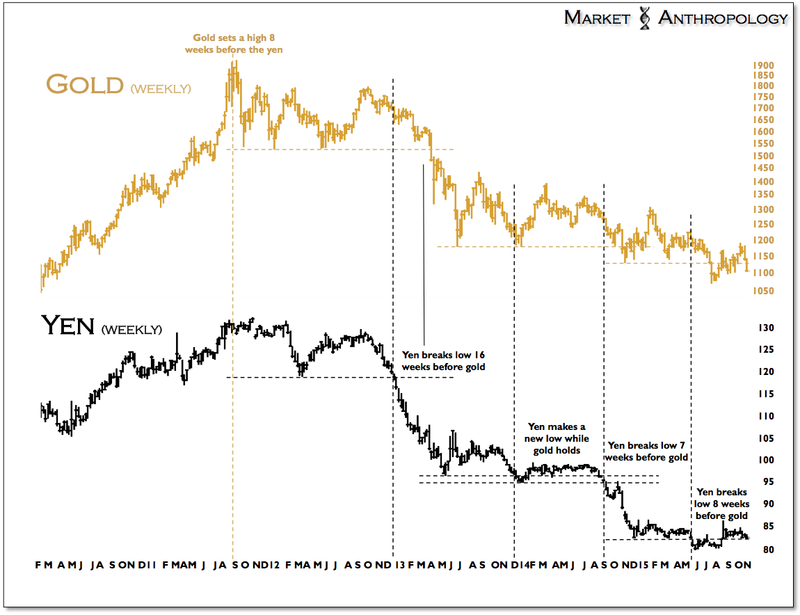 Along with the yen's retracement over the past few weeks, gold has given back all of its gains for October. Should the yen breakdown again from previous support it currently resides on, we would expect new lows for gold to follow. All things considered, we like the yen's prospects here and expect gold to also firm. 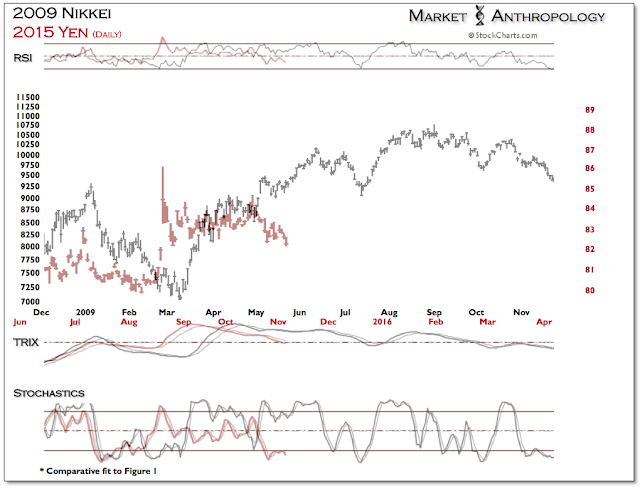 Moreover, one of the best proxies that we've found for reflationary moves - the silver:gold ratio, is beginning to display a rare long-term momentum reversal. 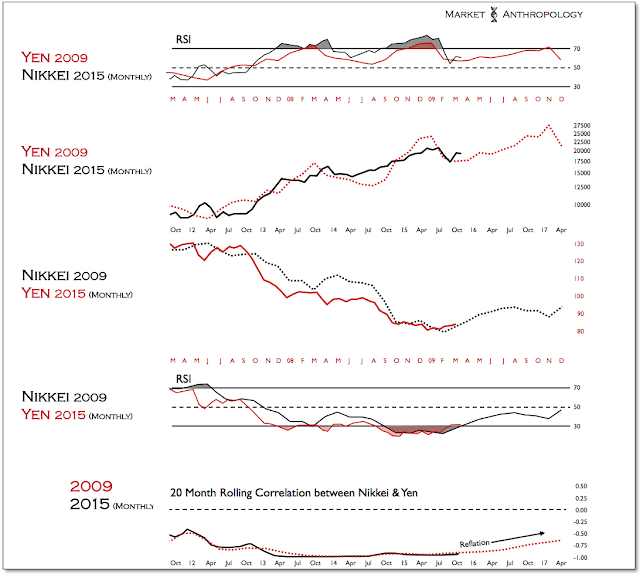 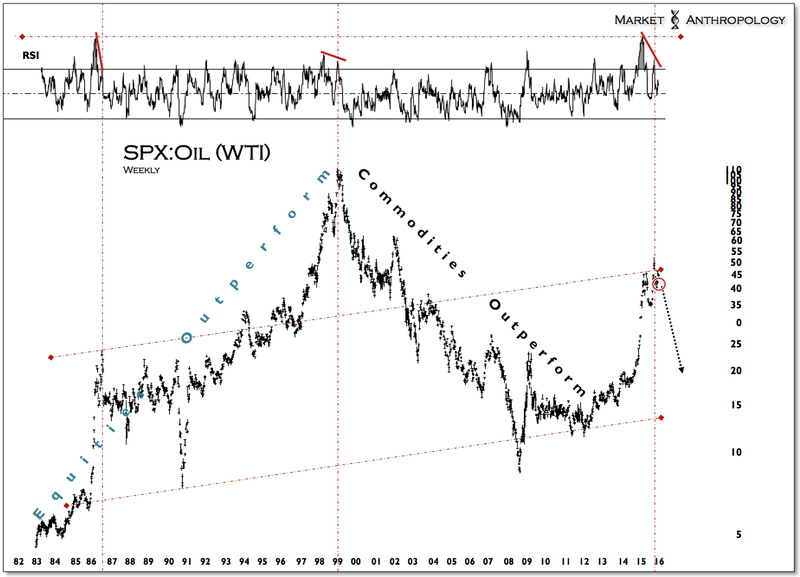 We often use TRIX as a simple visual momentum signature in our comparatives, because of its great ability to smooth out the noise and frame the bigger picture - as well as its capability as a forward indicator. 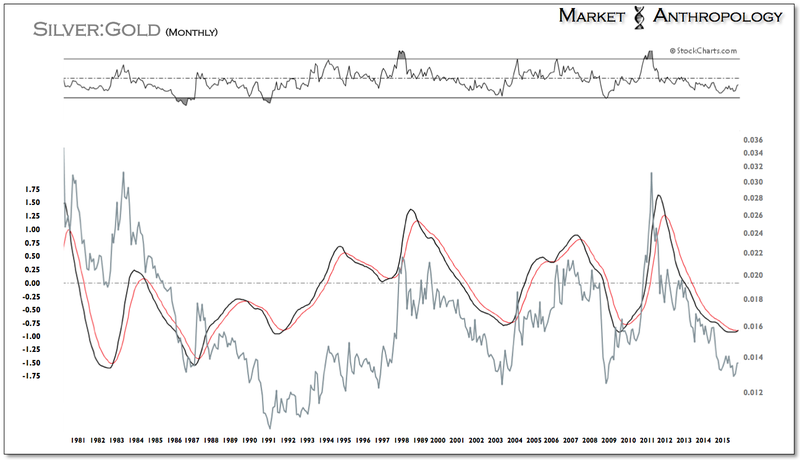 As we've mentioned over the years in previous notes, the silver gold ratio has also been an excellent leading indicator in the past for the broader health of the precious metals sector and inflation expectations, as silver acts as the higher beta asset more susceptible to risk aversion in disinflationary market environments, or conversely - exhibits greater returns in reflationary conditions. 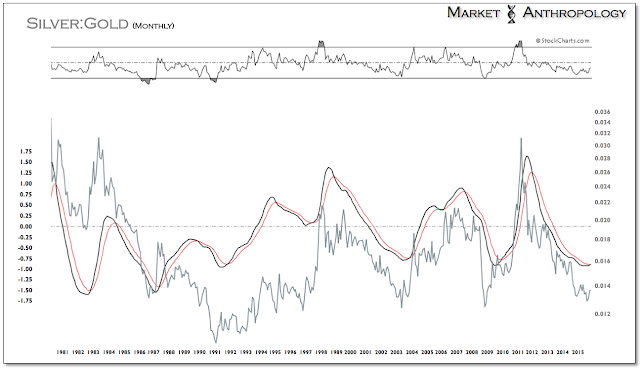 Although expectations of inflation have been clearly misplaced over the years, the signal line crossover now taking place in the ratio bodes well for the broader precious metals sector heading into 2016, as well as other assets closely tied to rising inflation expectations such as oil.